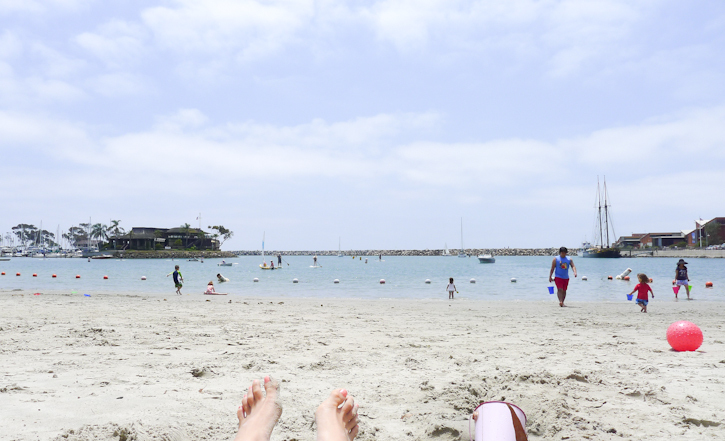 We have a favorite beach! 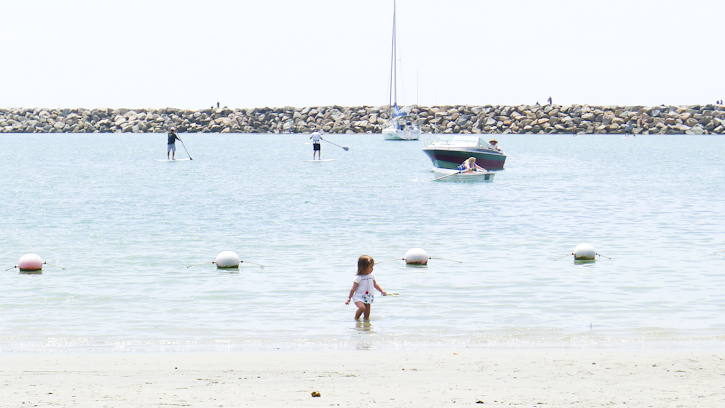 It's a baby beach nearby Dana Point Harbor in Orange County and it's full of family with kids! We will probably never go there if not for Roo... but it's perfect for us as of today! We are extremely busy right now between preparation for a new semester (this is for FB since I will no longer be teaching...) and 2 consecutive pop-up shop this weekend, a series of new items that need to be updated at the shop, etc. etc... But somehow we are squeezing bits and pieces of summer here and there... and I am thankful for that. Having a little one in life does indeed slow us down and sometimes it is difficult to feel that we just don't have enough time to work... but then maybe it's better for us. We definitely never want to get our priority in life mixed up. We work hard... to enjoy life.